Apple Music is not the best music streaming service – yet. I would be one to argue that eventually it’ll be the streaming service of choice – I know I’m particularly enjoying how it works with Siri, for example. Yes, Apple Music has a UI problem: it’s quite jumbled and lacks intuitiveness. Thankfully, Apple enhanced the app and made the iOS’ virtual assistant help you out. Siri’s new capabilities is a huge game changer for Apple Music: no other music streaming service has anything like her. I daresay it’s worth signing up for a free trial just to experience what she can do. Apple Music has several radio stations you can listen to. And yes, you can use Siri to listen to them. If you want to know who’s singing the current song, you can go ahead and ask her. With over 30 million songs in its library, you can ask Siri to play them. There’s no need to manually go over the catalog and spend a few precious minutes looking for a specific track. If you want to listen to a certain band but are having trouble deciding which song to listen to, you can ask Siri to play the greatest hits of the thousands of artists in its catalog. Simply say something in the league of “Play Backstreet Boys’ greatest hits” and let her do the magic. You can also ask Siri to open various artist-specific playlists. Say something like “play The Script playlist” or “play Madonna’s playlist”. You can ask Siri to pause the current song, skip it, or repeat. She’ll happily oblige. This comes in handy if you want to save time and fingertip energy from tapping your pass code. 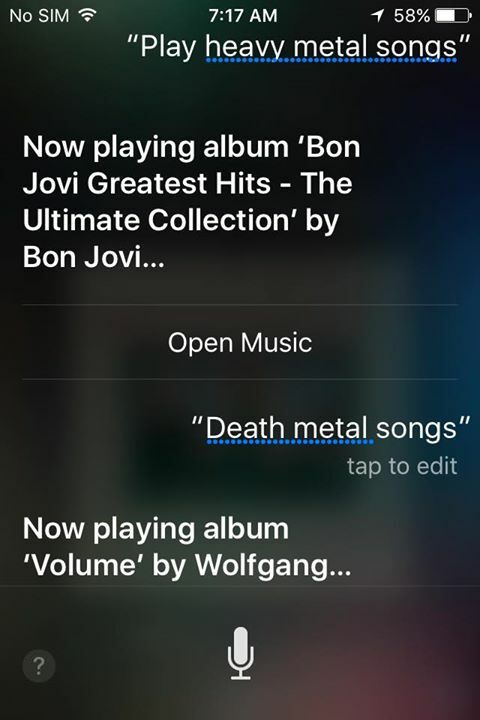 You could ask Siri to play songs of specific genres. For example, Rock is a general genre, if you want to listen to its branches, like heavy metal and death metal, you can ask her to look up related playlists. 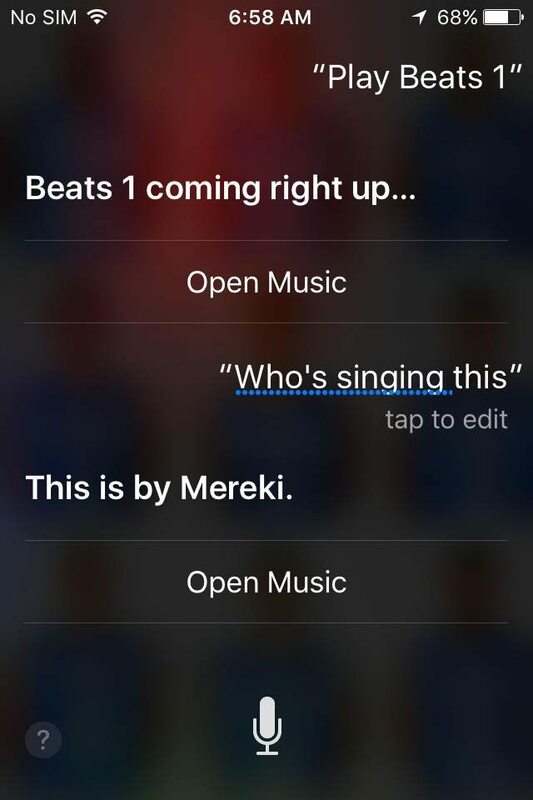 Siri’s memorizes Billboard’s top charts, so you can ask her to play the top songs of a specific genre or an artist. 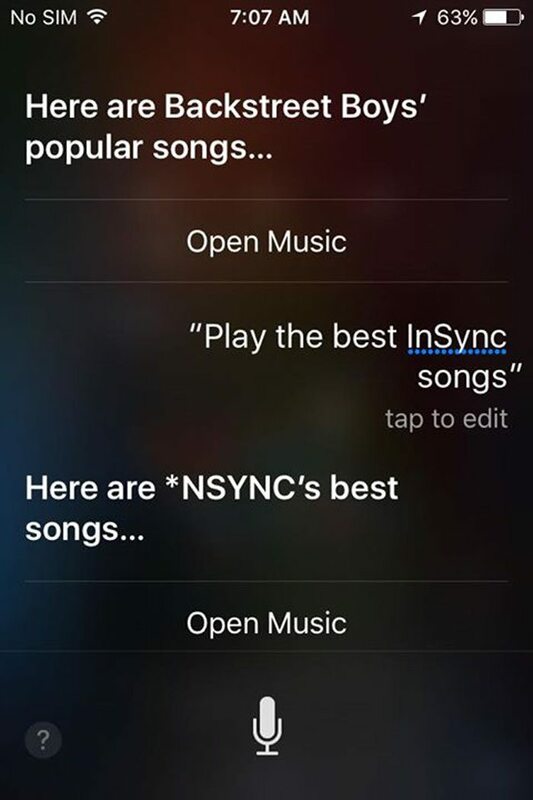 Siri is also knows which songs are on the top of the charts per year. For example, you can tell her to “play the top songs in specific dates and years. You can even ask her to play the top song during your birthday. If you’re in the mood to listen to old music, you can ask her to play the top tunes from the 1960s. If you feel like reliving glorious moments from your favorite movies, you can play their official soundtracks with Apple Music. Simply ask Siri to play music from famous movies, like “play Start Wars official music”. Overall, Siri’s awesomeness has further been enhanced due to her capabilities in Apple Music. If you want to find out more about what she’s capable of, check this video out.